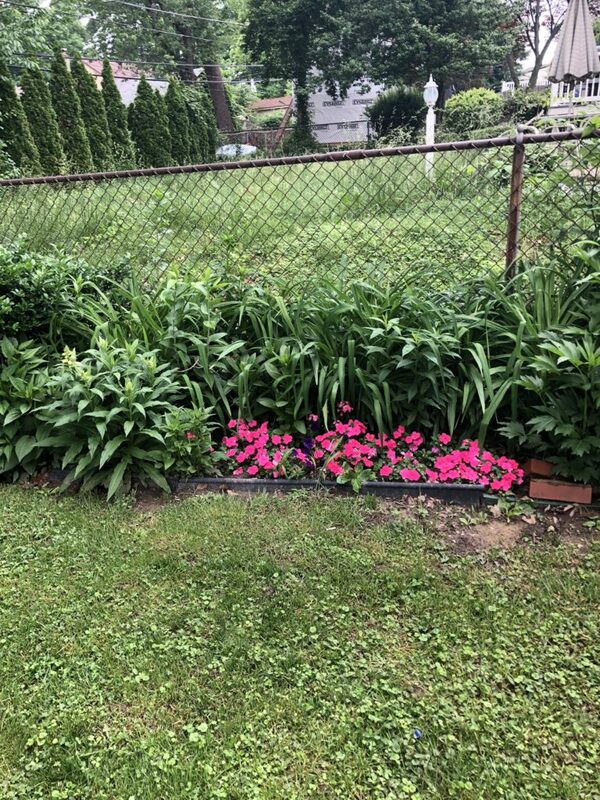 The pride of my mother-in-law’s life is her garden and if photos and shared memories are any evidence, it once was the most amazing backyard haven. In recent years her back problems, caused by decades of standing on her feet as a grocer, have kept her from doing what she used to do and it weighs on her in a big way; she is a proud woman who doesn’t consider herself disabled. Last summer when we’d sit out on the deck together, every other word from her was an expression of regret for what could have been a beautiful garden. I’ve never maintained my own garden before. When I lived with my parents, my mother owned and operated the garden, but she was never good at coworking. When I moved out at 19, I lived in the city in a 200 square foot efficiency apartment with no outdoor space. A year later I moved to a suburban apartment with a balcony and the full extent of my green thumb was my growing of lavender in one flower box. Over several months, I tread lightly in an effort to convince her to let me help her bring her garden back to life. Finally, she agreed. 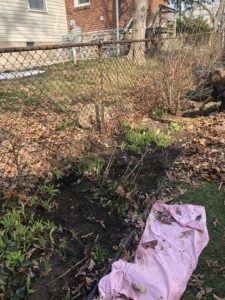 As soon as the last snow melted, we were out in the garden trying to clear debris in order to get the backyard ready for a garden again. For every stick I bent down to pick up, I could feel my hips creaking like they needed a fresh spray of WD-40; I wondered if one day I could be uploaded to a robot body and all I would need would be a can of WD-40. Too conscious of my own pain, I yelled across the yard to her and asked if she was feeling okay. Of course she lied and said yes. After clearing as many sticks as we could manage without fully losing our minds, and reminding ourselves that some sticks are natural in a backyard, we moved onto clearing the never ending piles of leaves from each of the five flower beds. On my hands and knees, I alternated between a hand rake and my actual hands, weighing the pros and cons of touching wet leaves and/or ripping up some of my mother in law’s prized bulbs. After about an hour and a half, the one area of the garden I was working on was clear enough to move forward. Years ago, my mother-in-law had received a wild lily as gift and planted it in one corner of her garden. What had once been a full bed of assorted flowers was now a bed mostly of wild lilies. Each year she dug the garden out a little further to accommodate her spreading lilies without sacrificing her love for the other flowers. But after the garden had already been dug out over a foot bigger than it was already intended to be in all directions, she asked me if I could dig her lilies up and transplant them along the fence in an arrangement that best suited the growth of other flowers, and accommodated a more controlled spreading of the wild flora. I’m usually pretty good with a shovel but after a day of being on my hands and knees, and bending over more often than my disabled body allows, I found myself wincing just at the movement of bringing my foot up to push the shovel deeper into the ground. Against my body’s wishes (and in retrospect, against what I should have put myself through) I successfully transplanted all the lilies to my mother-in-law’s desired location. At this point, I sat down to have my first glass of water that day (tsk, tsk! ), and reflected on the reasons I pushed myself so hard. My mother-in-law is, “so much more disabled than I am.” I felt my position as a young person made it my duty to overextend myself for my elders. Afterall, I live in her house rent-free. My disability is invisible and a lot of times this gives me some wiggle room to dismiss my pain. Unlike my mother-in-law, whose disintegrated disks are evident on an x-ray, no one really knows why I feel the pain that I do, and often times I have to convince doctors it’s even there. If doctors don’t believe I have a disability, why should I? I wanted to help. Even if my illness was visible, chances are I’d still be out pushing myself a little too far beyond my limits. I’ve always presented as high-functioning and as such, people rely on me a bit more than I may be able to handle. I guess that’s what qualifies as a revelation because my water break turned into an, “I don’t think I can get back out there,” moment so I decided I was done. I left my muddy white sneakers out on the deck and stripped naked to take an epsom salt bath. I hoped my muscles would be grateful for it, but they weren’t. The next day I woke up with a migraine that made me feel more thankful than usual for my blackout curtains. The combination of blackout curtains, six pillows, my wool comforter and a pleasant thc vape pen held me together. When my mother-in-law knocked on the door around 1 p.m. and I was still just barely conscious, she echoed a similar sentiment in terms of disdain for her own body and an itching to get more done. Two days later, we were back out there doing what we knew needed to be done. After all the debris had been picked up and piled up, it still needed to be moved somewhere else. 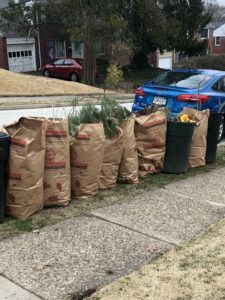 This time, more conscious of our bodies’ limits, we managed to get all of the plant debris into bags in two days, and we asked the men in the house to take it to the curb. Then the fun part was ready to begin. We laid new topsoil and got to go to the garden supply store where I picked out seeds for all the vegetables I hoped to grow. We made a plan to rent a tiller for the rest of the backyard wherein the grass refuses to grow. I was full of accomplishment and relief. All winter I waited for the opportunity to start my seeds so that I could begin to imagine the warmer summer days. Summer is usually a season of minimized pain for me. Fast forward four seemingly endless months, consumed by an unprecedented amount of pain and while there are a million reasons why this summer hasn’t offered much pain relief for either of us, the joy of watching our plants blossom has offered reprieve. 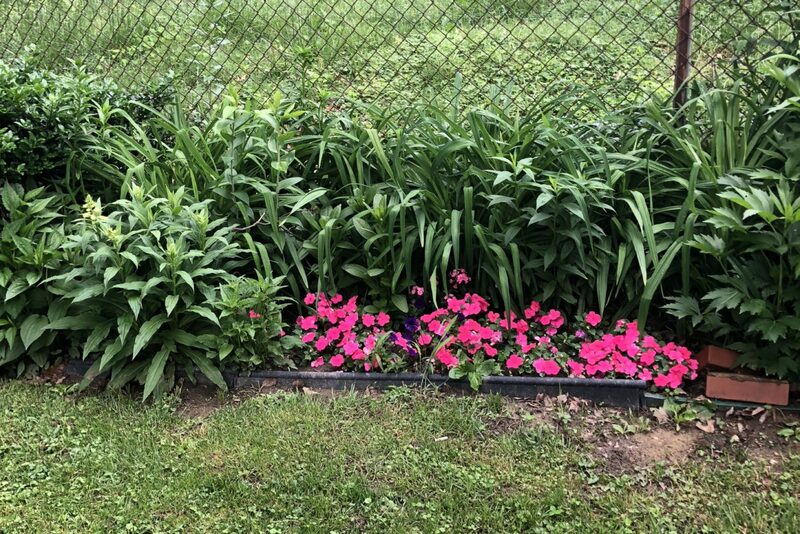 My mother-in-law’s garden is very close to being in full bloom, she focuses solely on her flowers, while I maintain my thriving vegetable garden. All grown from seed or bulb, we are lucky enough to have asiatic and day lilies in a number of colors, foxglove, dahlias, bachelor buttons, hydrangeas, and some other foliage. 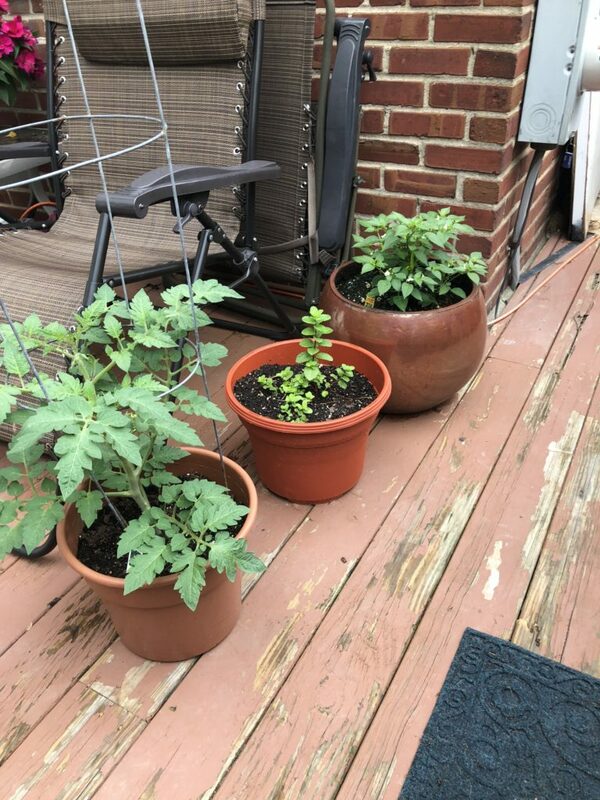 Grown from starters, purchased at an organic nursery nearby, I have two varieties of tomatoes, including beefsteak and San Marzano breeds, heirloom Tabasco peppers and two Boston pickling cucumber plants. Grown painstakingly from seed, I have radishes, spinach crop and garlic. 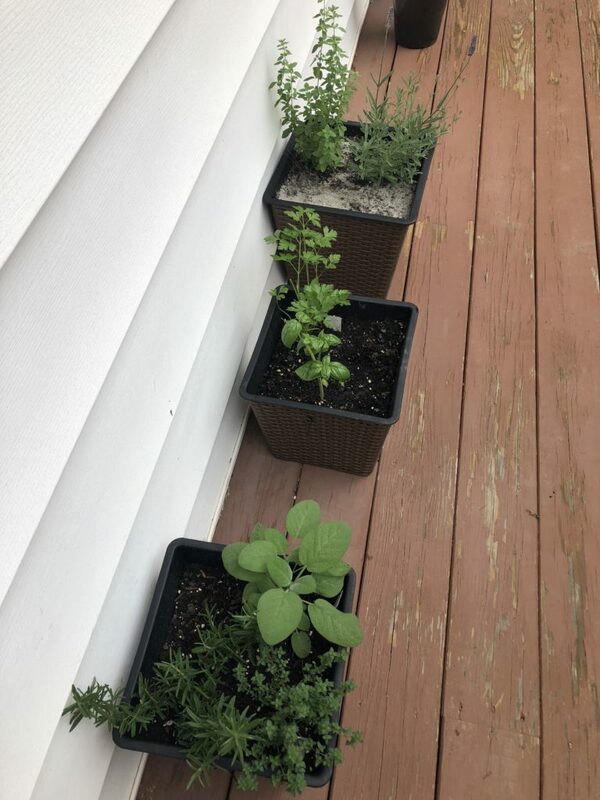 As shown in photos, I also have my pride and joy, my herb container garden. 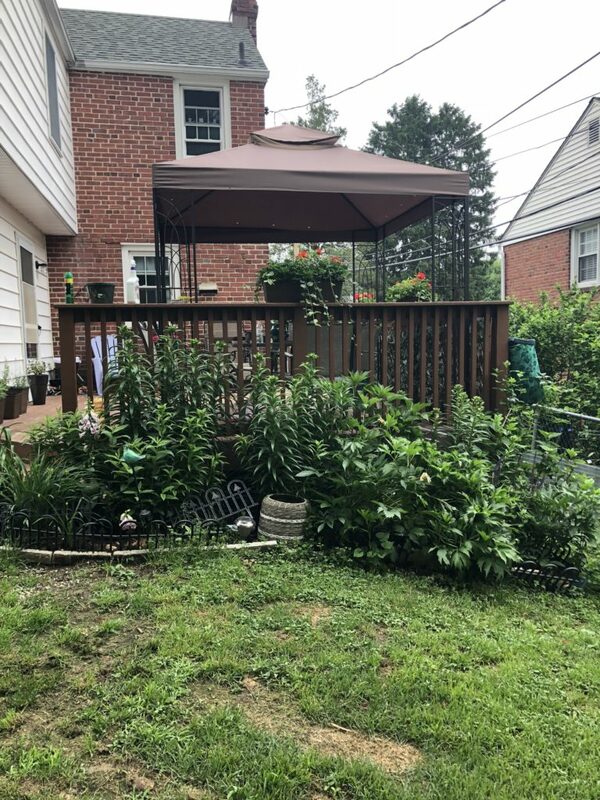 There have been a number of times where I’ve had to keep my hands clean and lie in bed in agony, and there were days when my mother-in-law experienced much of the same, but with our combined forces we’ve made a once barren space into a really lovely outdoor haven for us. Now that so much of the hard work is behind us, our painful days can be spent viewing the fruits of labor. Luckily, there were two of us this season with the same goal in mind, but I find myself worrying, she has voiced a similar concern as well, that there will come a time where I won’t even be able to get started on a garden. Should that ever happen, I will remember this year fondly.